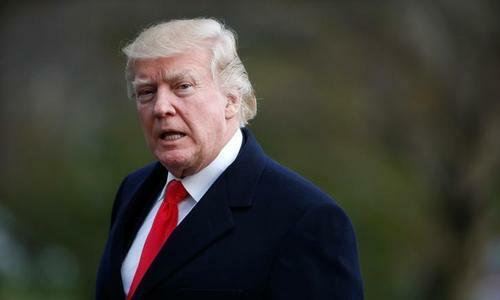 U.S. President Donald Trump threatened on Saturday to end government payments to health insurers if Congress does not pass a new healthcare bill and goaded them to not abandon their seven-year quest to replace the Obamacare law. 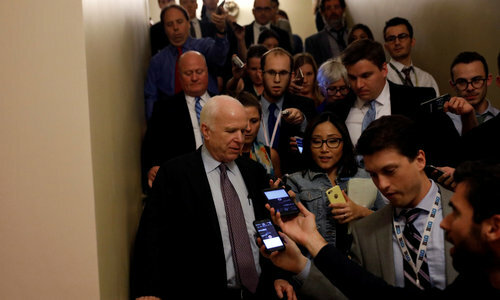 The tweet came a day after Senate Republicans failed to muster enough votes to repeal parts of the Affordable Care Act, President Barack Obama's signature healthcare bill commonly known as Obamacare. The first part of Trump's tweet appeared to be referring to the approximately $8 billion in cost-sharing reduction subsidies the federal government pays to insurers to lower the price of health coverage for low-income Americans. The second part appeared to be a threat to end the employer contribution for Congress members and their staffs, who were moved from the normal federal employee healthcare benefits program onto the Obamacare insurance exchanges as part of the 2010 healthcare law. Responding to Saturday's tweet, Senate Democratic leader Chuck Schumer said that if the president carried out that threat, "every expert agrees that (insurance) premiums will go up and health care will be more expensive for millions of Americans." "The president ought to stop playing politics with people's lives and health care, start leading and finally begin acting presidential,” Schumer said in a statement. "Unless the Republican Senators are total quitters, Repeal & Replace is not dead! Demand another vote before voting on any other bill!" Trump said in a subsequent tweet. Many insurers have been waiting for an answer from Trump or lawmakers on whether they will continue to fund the annual government subsidies. Without assurances, many plan to raise rates an additional 20 percent by an Aug. 16 deadline for premium prices. With Republican efforts to dismantle Obamacare in disarray, hundreds of U.S. counties are at risk of losing access to private health coverage in 2018 as insurers consider pulling out of those markets. In response, Trump on Friday again suggested his administration would let the Obamacare program "implode." He has weakened enforcement of the law’s requirement for individuals to buy insurance, threatened to cut off funding and sought to change plan benefits through regulations. Meanwhile, some congressional Republicans were still trying to find a way forward on healthcare. Senator Lindsey Graham said in a statement issued late on Friday that he and two other Republican senators, Dean Heller and Bill Cassidy, had met with Trump after the defeat to discuss Graham's proposal to take tax money raised by Obamacare and send it back to the states in the form of healthcare block grants. Graham said the move would end Democrats' drive for a national single-payer healthcare system by putting states in charge. "President Trump was optimistic about the Graham-Cassidy-Heller proposal," Graham added. "I will continue to work with President Trump and his team to move the idea forward." However, a majority of Americans are ready to move on from healthcare at this point. According to a Reuters/Ipsos poll released on Saturday, 64 percent of 1,136 people surveyed on Friday and Saturday said they wanted to keep Obamacare, either "entirely as is" or after fixing "problem areas. When asked what they think Congress should do next, most picked other priorities such as tax reform, foreign relations and infrastructure. Only 29 percent said they wanted Republicans in Congress to "continue working on a new healthcare bill." Asked what they think Congress should do next, most respondents picked other priorities such as tax reform, foreign relations and infrastructure. Only 29 percent said they wanted Republicans in Congress to "continue working on a new healthcare bill."